We are definitely in the Christmas Spirit around here! The Portland Rebel Junk Market left us feeling very festive and reflective on so many wonderful Christmas memories! What about you? Do you have a favorite Christmas Memory? I have so many, but the best ones are the times our Dad played Santa. He was a professional Santa and each Christmas he would wind up at a store sitting in a chair listening to the "wish lists" of many girls and boys. Sometimes we would get a little jealous that we had to share him with everyone. My momma would always comforted us by sayin "Your Daddy helps Santa, he can't be in all places at once so he needs elves like Daddy to help him." That response helped ease our frustration. After all, we didn't want to upset Santa! For our 1st Giveaway, we want to hear from you! Whats your favorite Christmas Memory? 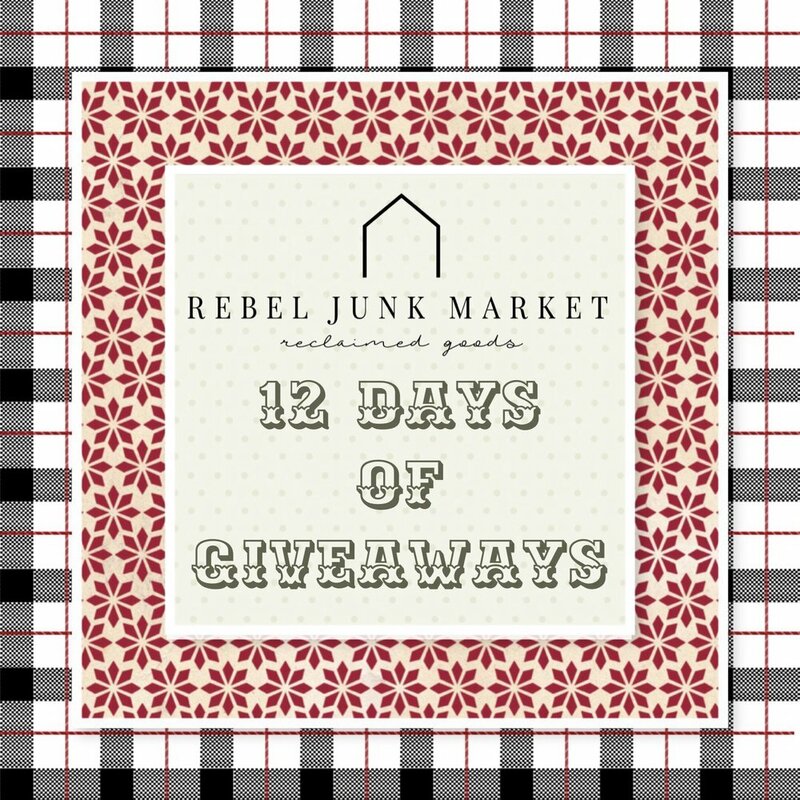 Go to our Rebel Junk Market Facebook page and comment on our 1st Giveaway Post!! You will be entered to win one of my favorite water bottles from Trouvaille Lifestyle Shop! Sarah Voss is one of our oldest friends who can always be found set up with her vintage trailer at our Rebel Junk Vintage Markets! In her curated space you will find handmade, locally found home décor, kitchenwares, textiles, and gifts. These items speak to the lifestyle of Indie design with delicate touches; clean modernness and elegant classic lines.